regarding text rendering: what about shipping a WASM version of some text renderer, and then just sending text. The client could then render text and alt-text itself. Text should be Machine Readable, Copy Paste-able and Vector Zoom-able. So only the Last Valid Style is used. Thanks. I really hope Debian/Buntu/gNewSense/Trisquel/PureOS doesn’t Disable Broadway. Maybe one day I will finally use Broadway as a remote desktop. I love how you are going from bitmap to vector. Bitmap never felt right in a browser. And if it saves bandwidth that is a huge bonus too. Now I can hopefully Save Screen shots to SVG!!! Please Keep Text as Text. My Posted Examples above and below aren’t tested and may not actuarially Work. Remember to test the rendering in Chrome Firefox Android iOS Old And New. I don’t know if anything is Metric-compatible with Cantarell but if the Font and size are flexible It shouldn’t matter too badly if it falls back to something else (that is if the page dynamically changes). End users are already allowed to modify their CSS themes. This is all CSS an no SVG nor Bitmap. 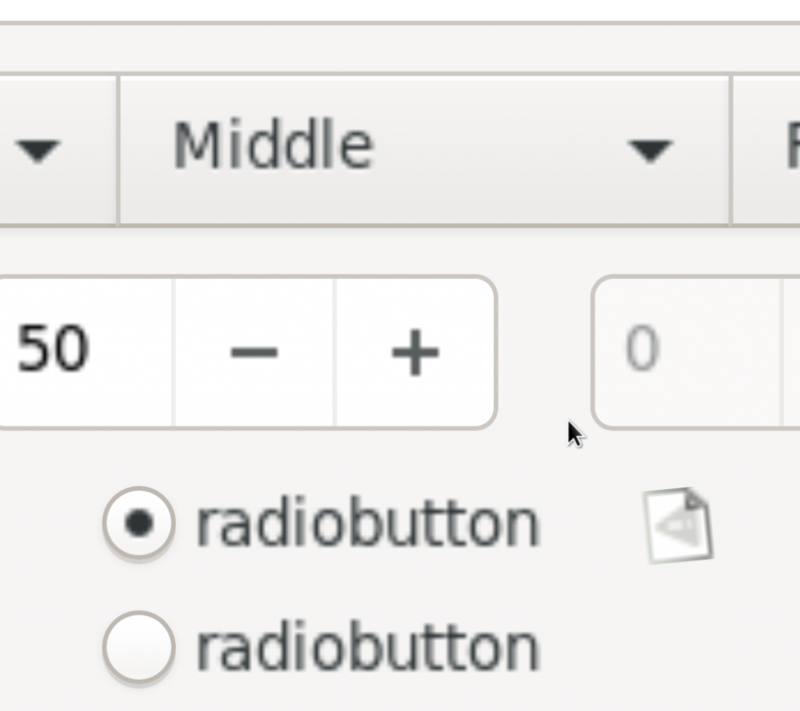 http://www.w3schools.com Menus has a lot of examples of things that could be GTK widgets that move and are defined in CSS. See what Electron is doing. maybe they already solved your problem. If you Can Get your hands on the “SASS” file You can change the SASS to CSS generator to add Browser Specif Fallbacks without mucking around in the clean SASS file. Put the two Together and the user can override the CSS file if they want. Ether way you can strip the CSS and formatting out of the “DOM trees” and have the CSS in it’s own File. CSS in the DOM tree can override the CSS file. Maybe you can have the inputs and drop down menus and dynamic elements on the Client Browser and submit the inputs back. Does the WebBrowser really need to wait for updates (New DOM Frames) from the backed/server for some of the user interactions? Can some of this be done Browser side JS? GTK3 Broadway Canvas/bitmaps has no choice but to get new frames, but you aren’t using canvas. If the JS has to loop through every element by Class/Attributive that could slow down every time there is a new Frame but it could eliminate the need for new dom frames. (New DOM frames can even get their own Window/Tab/Frame) Data could be piped in and out and synergize with WebAsembly. But it let you run Actual JAVA in the Browser. webassembly (SDL Qt and unity3d) as far as i can tell right now just dumps bitmaps into canvas but maybe it doesn’t have to be that way. Maybe Most of it (Or at least the GTK Widgets) can be real DOM + CSS and then only the parts that can’t be HTML DOM CSS JS WASM can be bitmaps in canvas. If you are using real DOM + CSS does the DOM even need to be updated (like canvas bitmaps) that often and can it change with user inputs directly in the browser. Can More of the Dynamic Rendering and CSS be done Client side in the Browser rather than Server side. Broadway instead of native GTK port. Is emscripten/webassembly + GTK a thing yet? and can it be accomplished in DOM instead of canvas? Can Broadway bring back the old server/client model that Xserver used to have and Wayland Got rid of? Can the GTK program run Completely in the Browser as an WASM Offline progressive web app with Add to home screen? I’m sorry if i wasted too much of you time. I Hope Broadway doesn’t get killed off before we figure out how to use it (Mainstream Adoption). Vector DOM vs Bitmap Canvas sounds really interesting. This is pretty impressive and exciting! Could it be possible use svg to render text? Kind of Defeats the whole point of posting code snippets in the first place and then saying “Fair Use” only. You can redact those links if that is a problem. All I meant to do was bark WOFF. I was wondering, since GTK 4 architecture is now similar to what Webrender is doing, why didn’t you join force with Mozilla and adopted Webrender as the rendering engine for GTK ? Similar doesn’t mean the same unfortunately. Gtk has a massive history, and switching out rendering like this isn’t as easy as it sounds. Its an interesting idea though.